After last week saw the demise of Intel's wearable arm while rumours continue to flow regarding the sale of Nokia's Health division, you'd be forgiven for being a little down on the industry. If you were, you'll be happy to know things came roaring back with a vengeance this week. We saw an unlikely return to the world of smartglasses from one camera company, while a new player announced it's set to break onto the smartwatch scene. Even Fitbit had a busy week smoothing out some rough software edges for its pair of smartwatches, the Ionic and Versa. Below, we've detailed the biggest headlines from the week gone by, as well as given some suggestions for the best reads of the week on the site. Go on, dive into it. Despite its initial foray into hardware resulting in abject failure, Snap isn't giving up on the wearable dream. This week, the company behind Snapchat unveiled the heavily rumoured follow-up to its original smartglasses, Snap Spectacles 2. So, what's changed this time around? 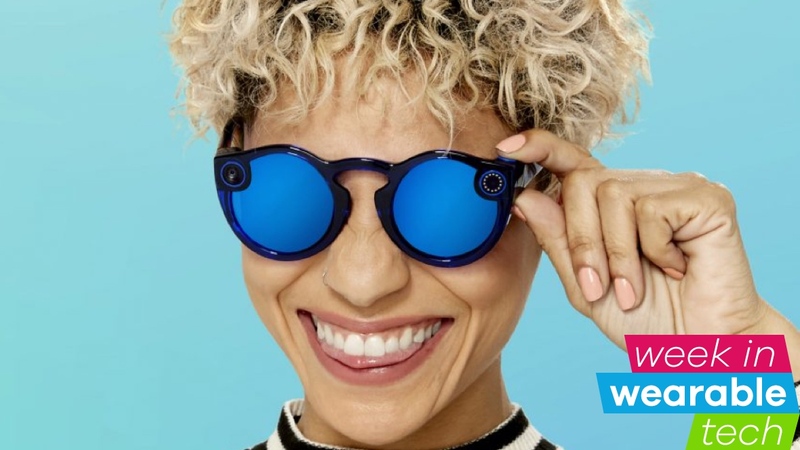 Well, unlike the first iteration, Specs will now let you take photos, as well as videos, while the design has been streamlined to apparently make them more comfortable to wear. You can even take them out in the rain now, too, with water resistance built into the frames. It's anyone's guess whether Snap will be able to make a success of the smartglasses this time around. One thing the company was keen to establish, though, was that it won't be overestimating demand like it did the first time around, with Specs 2 only being sold online, and not through the fabled Snapbot. Unfortuately, they'll also be retailing at $149.99, which is $20 more than the first iteration. And so another household name joins the great wearable game. That's right, sports giant Puma announced a partnership with Fossil this week, with the first smartwatches expected to land in 2019. It becomes the latest company to hitch onto the Fossil Group wagon — already filled with Michael Kors, Emporio Armani and various other fashion houses — and will represent the first true sporty smartwatch we've seen from the wearable giant. That's if it starts out with full-fledged smartwatches, of course. The 10-year deal will encompass both dumb and smart devices, and the initial announcement gave no indication whether the first Puma smartwatch will be of the hybrid or touchscreen variety. Either way, it's a positive to see Puma follow the likes of Nike and Adidas into the smartwatch game. Only time will tell if its own branded devices will be able to top the efforts of its rivals. After the Fitbit Versa officially went on sale last week, you might have expected things to lay low at the company's HQ for a little while. But that wasn't the case this week, as many Ionic and Versa users struggled to sync their devices and load new apps and watch faces. Fitbit quickly resolved the issue, thankfully, later issuing a statement apologising for the inconvenience and noting it will be monitoring the issue moving forward. Let's hope these outages don't become a regular thing. In brighter news for owners of the company's two smartwatches, it was announced that a British Airways app will now let users board their flight straight from the wrist, while Starbucks frequents can now also pay for their morning coffee through the dedicated app. For those in the UK, the first major bank also joined the Fitbit Pay arsenal.